Sinn Féin spokesperson on Jobs, Enterprise and Innovation, Peadar Tóibín, has hit out against the failure of the government to live up to its election promises and legislate to end upward-only rent clauses. 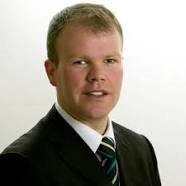 DeputyTóibín stressed the necessity of such a move in order to protect thousands of businesses who are struggling due to excessively high commercial rent. “Last week we saw both Best Menswear and Mothercare, who employ 411 people between them, go into examinership. Both retailers cited the crippling cost of commercial rent as a key factor threatening the viability of their stores. It is clear that extortionately high rents are causing great hardship for businesses in Ireland. “In the wake of the economic crash, businesses found themselves paying inflated boom time rates for rent. However, many were and continue to be locked into upward only rent clauses, meaning rents could not be reduced despite the huge downturn in the economy and falls of up to 50% in the retail sector. “Fine Gael promised in their 2011 election manifesto that they would ‘pass legislation to give all tenants the right to have their commercial rents reviewed in 2011 irrespective of any upward-only or other review clauses.’ This has been baldly ignored. The Labour Party also made and broke similar promises. “In 2012, I introduced a bill that provided a mechanism for businesses to seek relief from upward only rent clauses and to enable to government to act on their promises to end these stifling clauses. However the government reneged on its commitment and refused to engage not only with opposition, but with representative business groups on the matter. “As a result we now find ourselves in the position where businesses are becoming increasingly unviable due to the anti-competitive practice of upward only rent clauses. More worrying still is the many hundreds and potentially thousands of jobs at stake.